KARACHI: At least 80 percent of its shares would be offered to the public as the Pakistan Stock Exchange (PSX) would stand listed on the bourse by the end of June, The Dependent has learnt. The stock market signed a deal in January with a Chinese consortium that would allow the public to purchase shares in the PSX worth up to 80 percent. It may be noted that the public in question are the citizens of China. 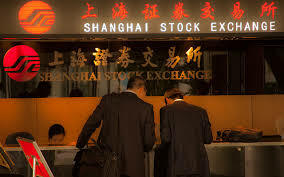 With 40pc shares of the PSX already distributed to the original owners — the Chinese government —another 40pc sold to the Chinese public and the remaining 20pc shares of the bourse would be offered to the next highest bidder. According to reports, Russia has slowly risen to being among front runners for the highest bid, with Turkey currently leading the queue. Reports further add that the 10-member board of directors of the PSX would also be restructured to include four nominations each by the Chinese government and public. “The remaining two members on the board would be nominated by the Securities and Exchange Commission of Pakistan (SECP), if it is not purchased by a foreign entity till then,” a PSX official said.